It will include 40 games, including classics like Sonic the Hedgehog and Shining Force. 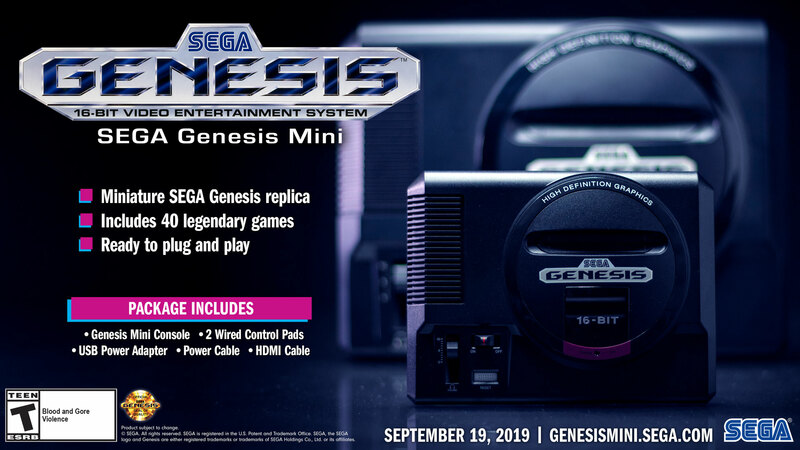 Hopping aboard the trend of re-releasing older consoles in miniature versions, Sega has announced the Genesis/Mega Drive Mini. It will retail for $79.99 and release on September 19th, with a whopping 40 games included. This version of the console is based on the Model 1 Genesis, which originally launched in August 1989 in North America. Along with 40 games, consumers will also receive two replica Genesis controllers with USB functionality, a USB to micro-B power cable, a power adapter (in North America only)m and an HDMI cable. Sega also confirmed that M2, which worked on the Sega Ages and Sega 3D Classics Collection, would handle porting the games. Given Sega’s library of classics, re-releasing the Genesis with these games included is a pretty good idea. Time will tell if, as far as its quality is concerned, it’s more in line with Nintendo’s NES Mini and SNES Mini and less akin to Sony’s PlayStation Classic. Stay tuned for more details in the coming months regarding the remaining games.